Aquatic Plants Surveys in St. Cloud, MN Lakes Area - Limnopro Aquatic Science, Inc. Aquatic plant surveys are helpful for monitoring your lake’s health. This service identifies the types of plants, their abundance, and their coverage on lakes. The data collected are used to create lake maps of good fish habitat, potential problem areas for excess surface matting types to keep an eye on, and is a great way to find invasive species. We have staff members on the MN DNR recommended list for plant surveys who have passed their plant identification tests. Pricing largely depends on the size of a lake's littoral zone, which can generally be defined as the area of a lake that is less than 15 feet. 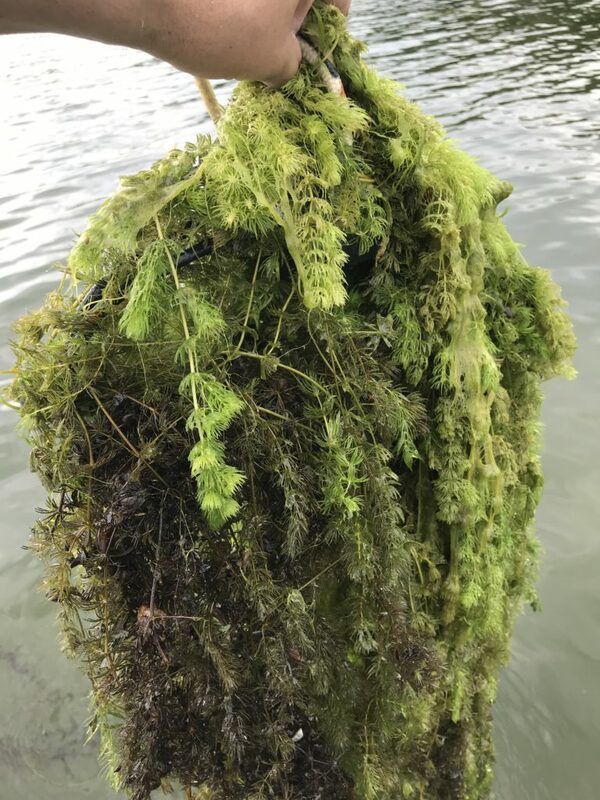 In order to receive approval by the MN DNR to either chemically treat or mechanically remove nuisance aquatic invasive species from a lake, they will generally require a mapping or delineation of the boundaries of where those AIS occur in the lake. These maps are also used by herbicide applicators to determine application rates and where chemicals should be applied. Delineations are most often done for either curlyleaf pondweed or Eurasian watermilfoil. Getting approval for treatments may also require doing a native plant survey because whether or not an area is treated may depend on what other species are present with the AIS. We have staff members trained and certified by the Minnesota Aquatic Invasive Species Research Center means you can be sure we can identify these types even though they are look-alikes to native plants.